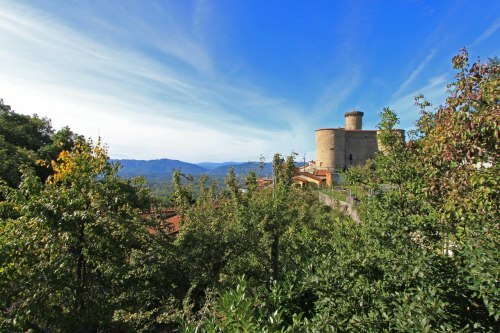 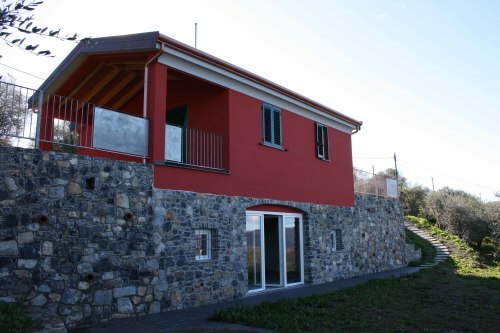 Detached Villa with ample garden and spectacular view of medieval castle, hills and valley. Situated at the edge of a character village known for its medieval Malaspina castle, the property is approached via its own gated driveway which provides parking for at least 2 cars. 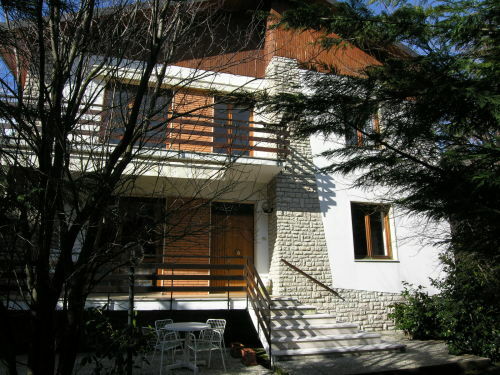 Entrance is via the front garden which has steps up to the front terrace leading to the front entrance. 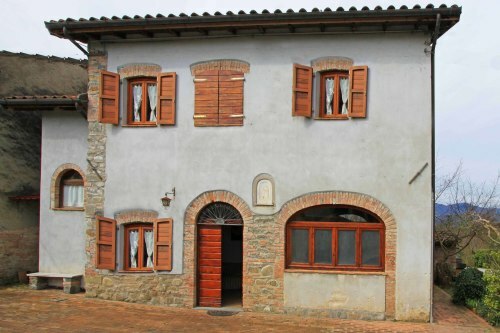 There is also a side door entrance. 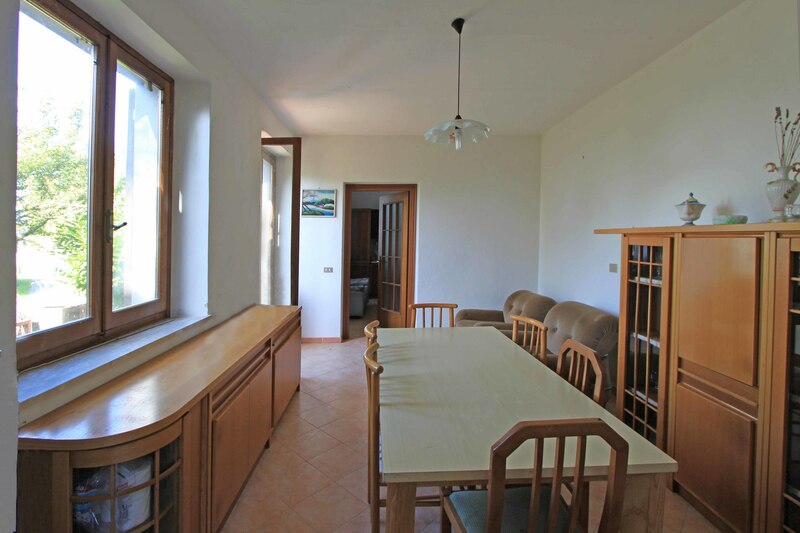 Inside, there is a bright living-room, large kitchen with ample space for a table and downstairs bathroom. 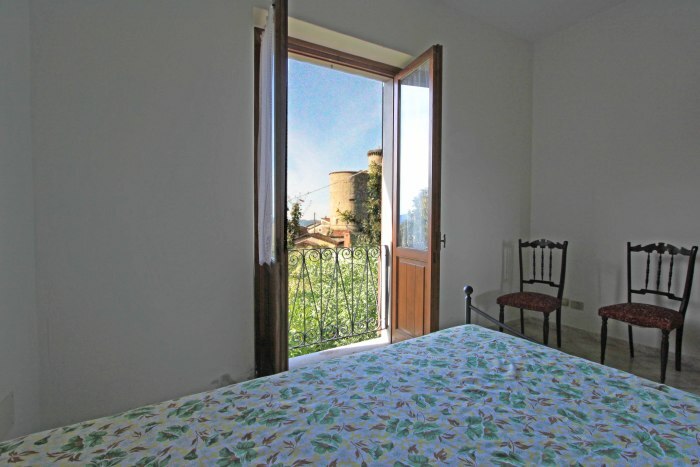 Upstairs, there is a bathroom with bath and shower and two light double bedrooms both with french windows to their own balcony with panoramic views of the valley and medieval castle. To the rear there is approx. 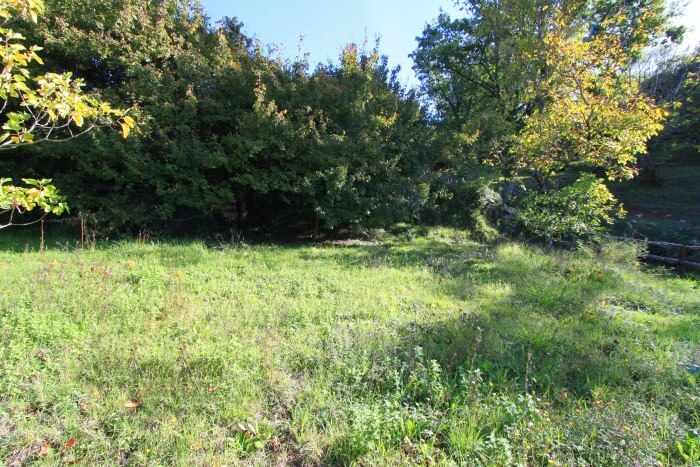 400 sqm of flat land with room to install a swimming pool subject to planning permission. 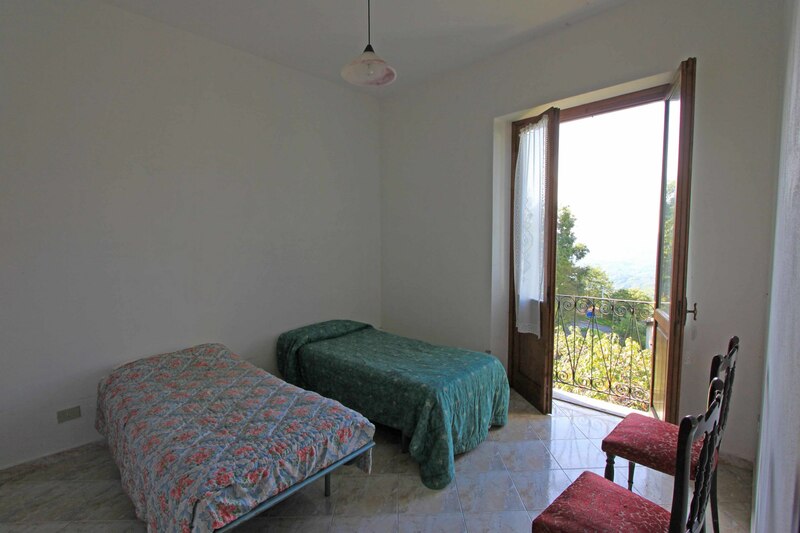 The rear garden is accessible from both the upstairs and downstairs levels. 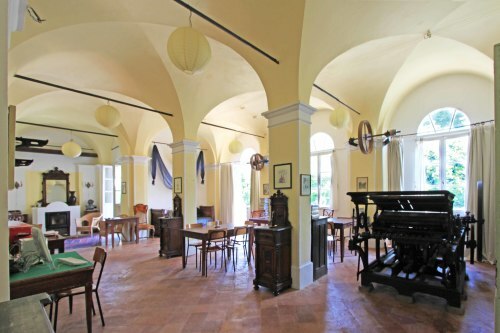 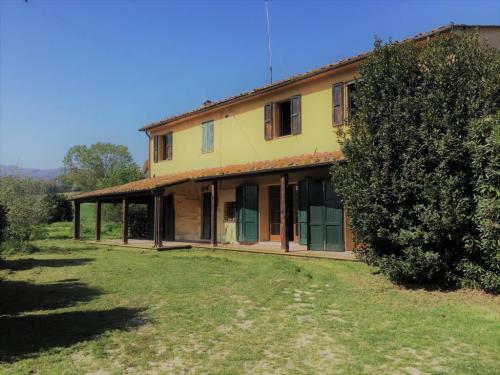 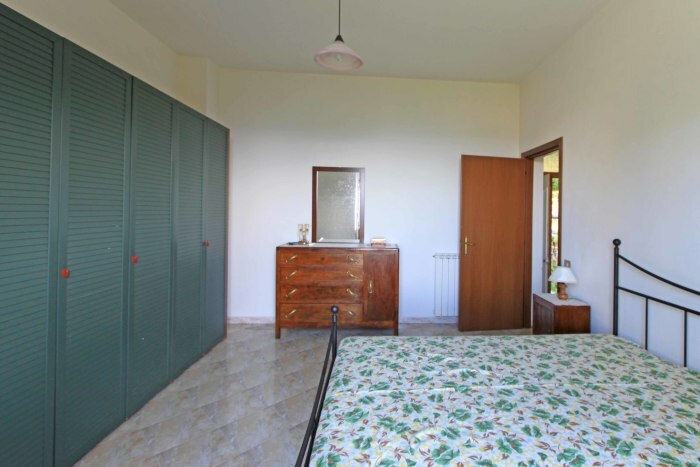 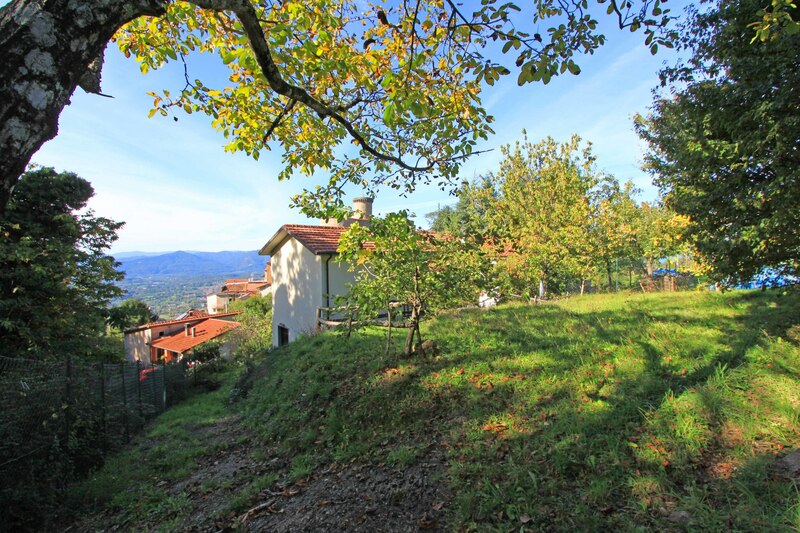 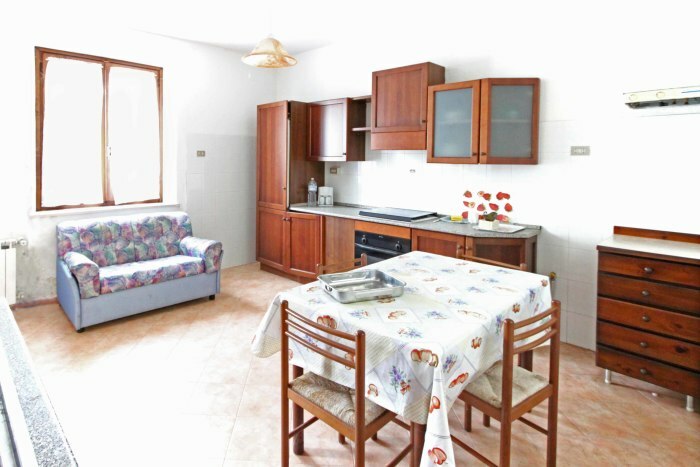 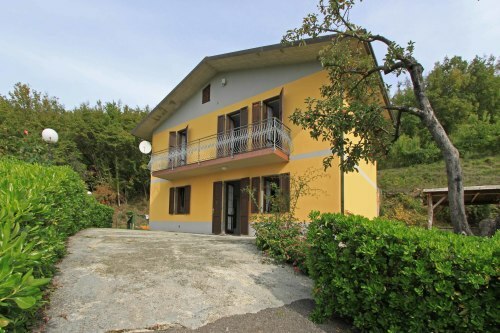 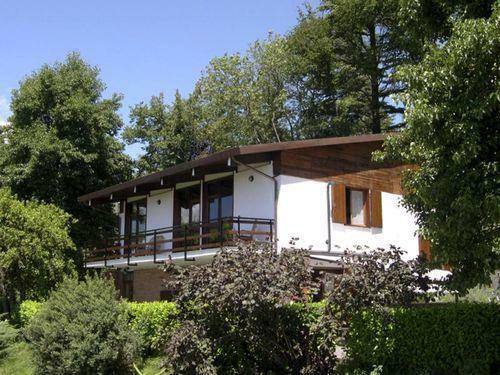 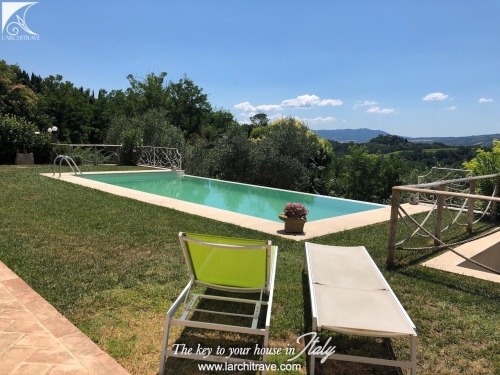 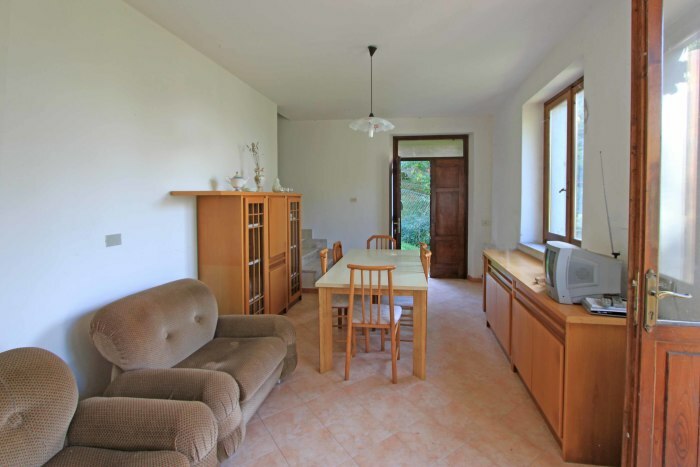 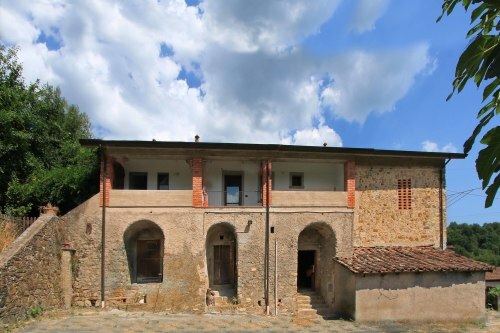 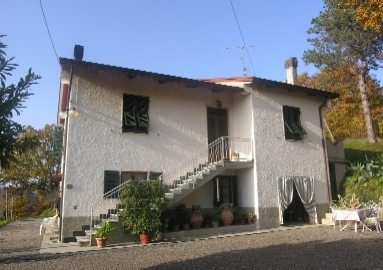 The property is located just 3.5 km from the picturesque town of Licciana Nardi and its amenities.